Credit: The Hospital Research Foundation. Almost 8% of women have extremely high breast density, which can make it harder for health professionals to detect breast cancer on a screening mammogram. These women are also more likely to develop breast cancer in the future. This is the warning from a new Australian alliance of breast cancer researchers, who are working together to raise awareness of the issue in the hopes of improving cancer diagnosis and health outcomes for women. The group, called INFORMD (INformation FORum on Mammographic Density), comprises leading Australian breast cancer researchers from the Universities of Adelaide, Melbourne, Western Australia, Queensland University of Technology and the Peter MacCallum Cancer Centre in Victoria. "We've grown concerned that Australian women are not aware of the significance of breast density in the diagnosis and prevention of breast cancer," says INFORMD spokesperson Associate Professor Wendy Ingman from the University of Adelaide's Robinson Research Institute, and Lead Researcher, Breast Biology and Cancer Unit, Basil Hetzel Institute for Translational Health Research. Dense breasts have less fatty tissue and more non-fatty tissue, such as more glands that make and drain milk, compared to breasts that aren't dense. Almost 8% of women aged between 40-74 years have extremely dense breasts. It is estimated that women with extremely high breast density have a four-to-six-fold increased risk of breast cancer compared to women with very low density. "Breast cancer is more likely to develop in women with dense breast tissue, but not many women know if they have dense breast tissue. We believe it's important to inform women about breast density so they can make the right choices for their health," Associate Professor Ingman says. On a mammogram, breast density is shown as white and bright regions. But unfortunately, potential tumors are also shown as white and bright on a mammogram. "With the technology currently available, it is harder to see tumors in breasts with denser tissue on a mammogram. The danger is that these women are at risk of having tumors missed at the time of screening," Associate Professor Ingman says. As yet, no single method or tool for measuring breast density has been agreed upon within the medical and medical technology communities. However, the researchers say breast density cannot be assessed based simply on how breasts feel during a self-exam or a doctor's physical exam. Associate Professor Ingman says that although dense breast tissue is a risk factor for breast cancer, not all women with dense breasts will develop breast cancer. Dr Alessandra Muntoni, Director of Research Investment, National Breast Cancer Foundation, says: "More details on the association of breast density with breast cancer are emerging as researchers learn more about this complex disease. In addition to funding research in this area, it is important to ensure that knowledge is shared with women so they can make more informed decisions in future." "Our ultimate aim is to save women's lives," says Associate Professor Ingman. "We hope to do this by increasing prevention and early detection of breast cancer, and by increasing the understanding and better utilization of breast cancer screening in Australia, to lower the impact of this disease." Development of evidence-based guidelines for general practitioners (GPs) and other health professionals so they can assist women to make informed decisions. Implementation of improved methods for quantifying breast density, and improved methods of predicting which women are most likely to develop breast cancer in the future. This is so breast density can be reported to all women attending screening programs, along with evidence-based recommendations for their management. What can women do now? 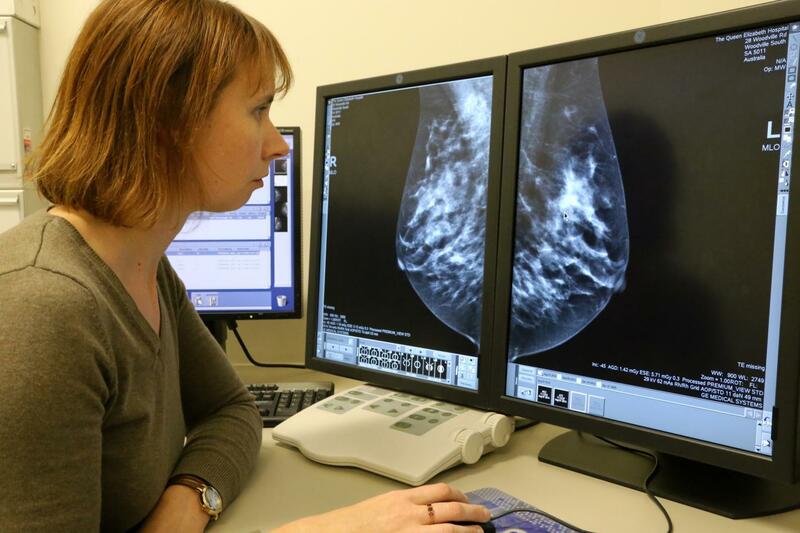 Mammography remains the gold standard for breast cancer screening. In Australia, the researchers encourage women to use the opportunity to have free regular mammograms through BreastScreen services across the nation. Women can have their breast density assessed through a mammogram, which can be arranged through their GP. Supplementary screening methods, including ultrasound and MRI, are available for women to be used in addition to mammography. However, it is important that women consider the costs, both emotional and financial, and the risk of false positive results associated with these other technologies. Be breast aware. All women, regardless of age, can be familiar with their breasts and check them regularly. Any changes should be reported to their doctor. The INFORMD alliance has established a new website to help keep women up to date on new information about breast density and breast cancer. More information can be found at: INFORMD.org.au Watch a video of Associate Professor Wendy Ingman discussing breast density. Associate Professor Ingman's research is funded by the National Breast Cancer Foundation (NBCF) and by The Hospital Research Foundation (THRF). Research by INFORMD members Professor John Hopper, Associate Professor Jennifer Stone, Professor Rik Thompson and Dr Kara Britt is also funded by the NBCF.